LIBERAL, Kan. – Seward County Head Coach Austin Mefford announced on Saturday that Lizzie Nessling will be joining him on the bench in 2018 as Assistant Coach. 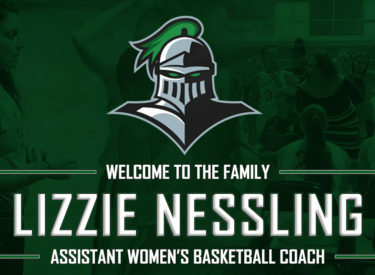 Nessling comes to Seward after spending two years as an assistant coach with NAIA University of Saint Mary in Leavenworth, Kansas. The Lady Spires won 37 games in Nessling’s two years, reaching the semifinals of the KCAC Tournament in both years. In her first year of coaching, Nessling helped improve the Lady Spire record from 12-16 in 2015-16 to 19-12 in the 2016-17 season. In the breakout season, The Lady Spires broke the program record for most wins in a season, most conference players, longest winning streak, most conference wins, and program best finish in conference while garnering the program’s first All-American selections. Prior to Nessling’s coaching career, she was a 2-time captain for Lincoln University’s women’s basketball team where she received the Glue Guy Award for two straight years and was recognized as the True Blue 2016 Athlete of the Year her senior year. She also took the program from a 5-win season to tying the program history record for most MIAA conference wins and the best conference finish. Nessling earned her bachelor’s degree in Business Administration from Lincoln University in 2016.